Artistic Director: Dong-Won Kim. 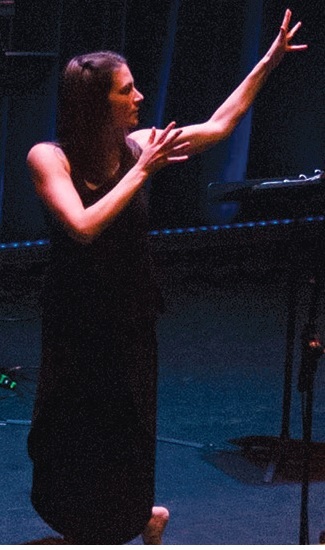 Dong-Won is a Percussionist, pedagogue, vocalist, composer, and improviser. He has studied various forms of traditional music from great Korean music masters since 1984, including farmers’ drumming and dance, shamanic music, Pansori accompaniment, and music theory. Dong-Won currently teaches music online as a professor of Wonkwang Digital University. He has also written several fairy tales for children and was featured in the music documentary film Intangible Asset Number 82 (2009). For many years he has been a regular member of Yo-Yo Ma's Silk Road Project and has toured all over the world with the group. Storyteller: Ben Grossman. Ben Grossman is a vielle à roue (hurdy gurdy/Drehleier) player, percussionist, composer and improviser. Over the last fifteen years Ben has performed and recorded with an assortment of traditional, folk, experimental, early music, jazz, pop and fusion groups. For the last few years, he has toured the US with electronic music innovator BT and extensively in North America and Europe with Loreena McKennitt. Ben’s work has appeared on over eighty CDs and can also be heard on film soundtracks, radio dramas, and in television shows and commercials. Today, his main focus is the vielle à roue and it’s applications in early, traditional, experimental, and ambient music. Download the When Rivers Meet program booklet here.